Its a STEAL! Amazing upside potential here, and still livable condition! 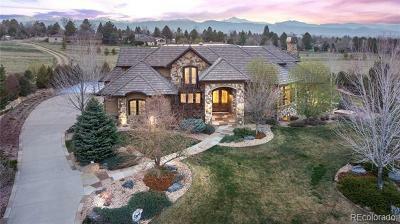 Unique 3 acre foothills property just a 20 minute drive to Denver. Easy access on & off highway with county maintained road, and the lot is wooded, flat and sloping land zoned A-2. 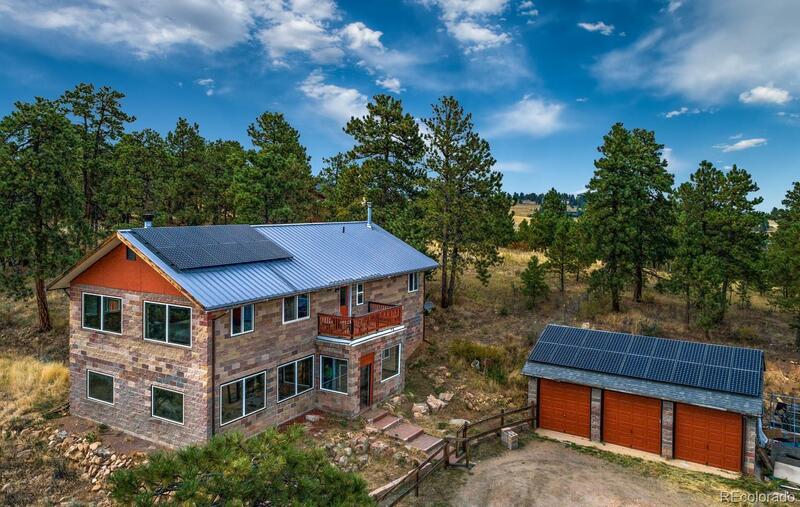 New well was just drilled in 2013, solar panels are owned and fully functional, steel roof and a huge detached 3-car garage. This home was built entirely of cinder blocks with scissor-truss roof system, and has no interior load-bearing walls which makes for a very flexible floor plan. Main level can easily be reconfigured, but currently offers a large flex space right off the entry, 2 bedrooms, 3/4 bath with laundry and another media/game room with a wet bar and pellet stove. Head upstairs to the huge great room that has windows on all sides and a wood burning stove, kitchen, 2 more bedrooms and 2 baths. Home is in need of some updates and flooring, but most importantly, a buyer with an imagination -- it is a blank canvas!